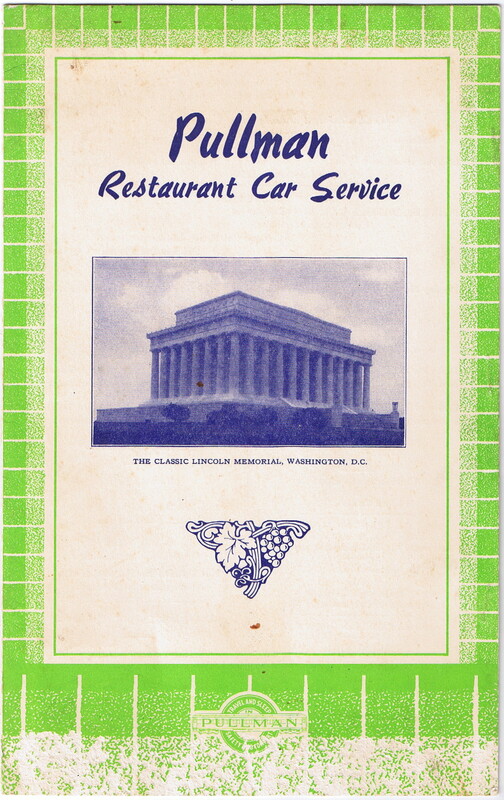 Description A 1941 Pullman Restaurant Car Service from WWII featuring The Lincoln Memorial on the front cover. Featured are Table D'Hote, a la carte, beverages and cigars/playing cards. 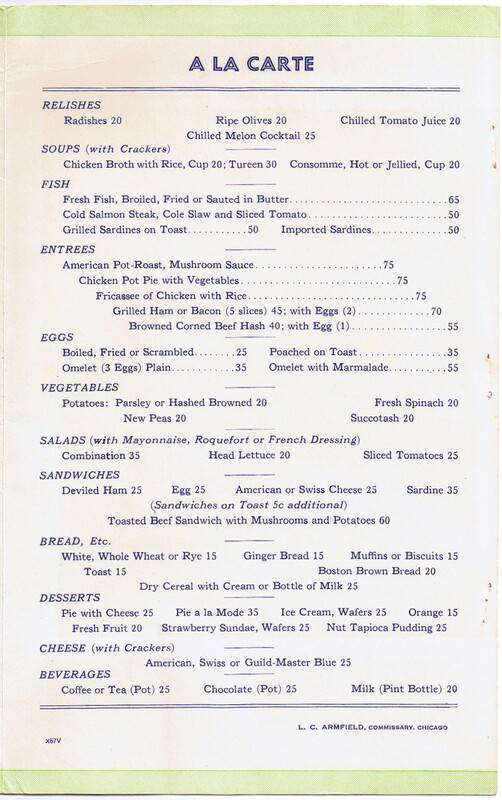 Fixed price meals are offered at $1.25, $1.00 and 75 cents. Moderate wear on the bottom of the front cover. 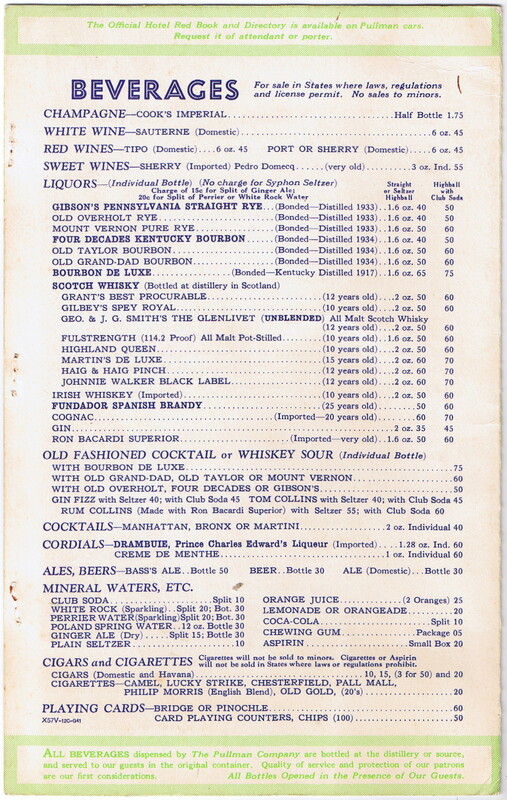 Menu is printed on cream colored stock in green and blue ink. A menu code of X57V-12C-G41 is printed on the back cover. 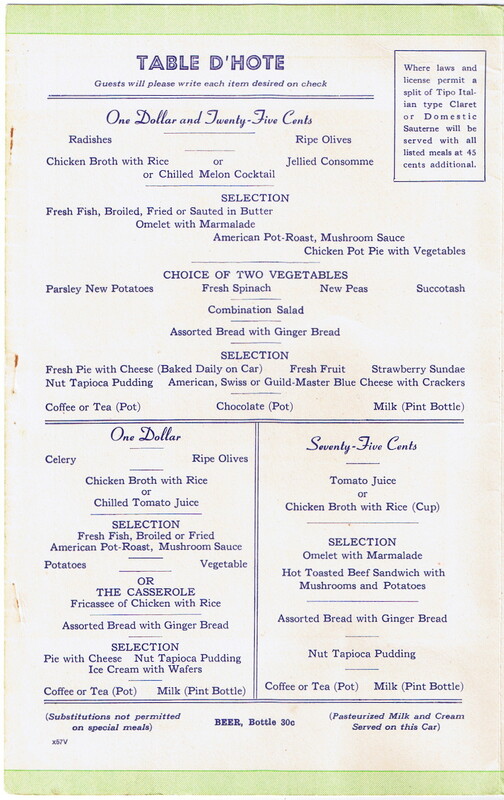 Many of the menus used on the Pennsylvania (PRR) Railroad had an "X" as the first letter in the date code. 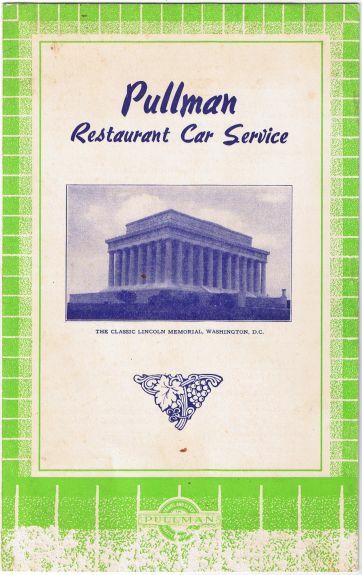 Pullman began using pictures of various Washington, DC landmarks on their stock covers for lounge and buffet car menus starting in 1940.